Today is our official stop on The Wig in the Window blog tour! 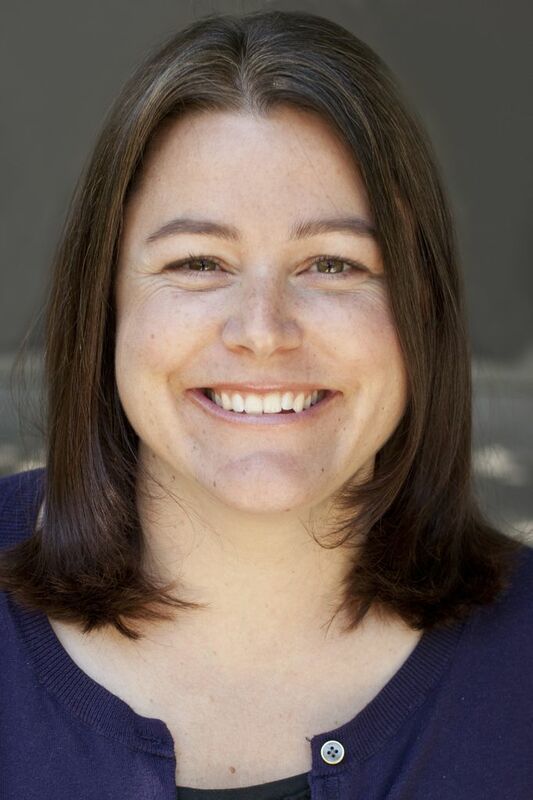 We are thrilled to have debut author Kristen Kittscher over to answer our questions about her middle grade mystery novel and talk about everything from favorite mystery novels to topics like the evolving nature of friendships and cultural appropriation. Please give it up for Kristen, folks! 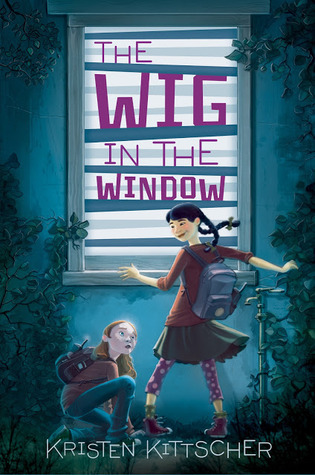 The Book Smugglers: The Wig in the Window is a novel about two girl sleuths that start out playing detective as a game, but then stumble across a big case – on a scale from 1 to 10 (or Scooby-Doo to Nancy Drew) how do you think your duo ranks on the competence spectrum? Kristen: Oh, I love that scale! I’m going to have to remember that. It’s a tough one to answer. I feel like I’m weighing in on my own children’s IQ. I’d say that Sophie and Grace are secret 10s who still need to develop their full sleuthing potential, and—in Sophie’s case—gain more confidence in her own talents! The Book Smugglers: We love how The Wig in the Window focuses on ever-evolving friendships, as well as the topics of perception and cultural appropriation. Can you discuss these major themes in your book? Did you consciously set out to discuss these issues (such as cultural appropriation and consequences for actions) when you started writing? Or did this evolve as the story and characters did? Kristen: I’m so glad you see these as major themes in The Wig in the Window; it’s tremendously satisfying to be understood! From the start, I knew that Wig would be about friendships – and the often unequal power dynamics in them, especially at that age when kids are maturing at different rates and trying out new identities. However, the questions about perception and self-trust developed gradually over the course of drafting. I suppose any mystery involves sleuths drawing inferences and trusting instincts; however, that uncertainty took on symbolic importance for me as I wrote. I may be far from those difficult in-between years, but as a writer I’m brand new — The Wig in the Window is the first thing I’ve written apart for a story or two for my high school literary magazine. That insecurity of the age — when you’re just old enough to understand more about the world, but you’re not yet sure you really do? It’s a perfect parallel for a writer trying to find her inner boldness, as well. Sophie’s over-the-top appropriation of Chinese culture and its effect on Grace was there from the beginning and was conscious. On one level, it was my way of expressing that particularly middle school phase of kids idealizing people and trying on new identities as they figure out their own place in the world. When I was twelve, I loved spending the night at friends’ houses – new cereals! Different parenting styles! People who went to church and said prayers at night! I’ve had a bird’s eye view of that idealization as a seventh grade English teacher, as well. One Chinese-American student I know hangs out only with Korean friends and regular swoons over K-Pop stars. Several kids of European-descent are so into manga, they’re learning Japanese. Of course, kids’ marveling at difference can be problematic – as Sophie discovers. It was challenging to take on cultural appropriation in the book, too, as Grace’s point-of-view is always filtered through Sophie’s first-person narration. And they’re twelve, so Young & Yang are not fully aware of the forces and history at work. Add in the humor around it all, and it’s tricky to navigate. It would have been easy to cut out this part of Young & Yang’s relationship without affecting the mystery plot, but I’m very grateful that my editor loved that part of the book and thought it was essential, too. The Book Smugglers: Your book blends mystery, humor and important contemporary issues beautifully. How difficult was it for you to strike this balance? Kristen: Thank you for noticing! My hope, of course, is that it reads effortlessly and there’s no sign that it was any trouble – but the truth is, it was very difficult. Balancing humor with danger was hard enough, let alone dealing with Young & Yang’s often tense friendship. I’ve even made some small changes since the ARC you read because I noticed flaws. At dangerous moments, I’d suddenly mention my potential villains’ cat-puke colored sweaters or creased Mom jeans, which — while consistent — is certainly not in keeping with the danger! I also had to become more skilled in deflection so readers wouldn’t be frustrated by pausing at fraught moments to deal with friendship difficulties. A mystery demands a fast pace—both humor and reflection can detract from that. The Book Smugglers: When writing for Middle Graders, do YOU think there are any topics that should be avoided? Are there limitations to what you can/should write for young readers, or do you share more of an “anything goes” perspective? Kristen: Fantastic question. I think writers for kids have a responsibility to tell emotional truths about the world but also give their readers a sense of hope and security. Perhaps there’s a writer who can take on a subject we might not usually think is suitable for kids and still navigate that line. Still, I think we need to write with respect and understanding for where kids are developmentally. I think we see pre-teens reaching for darker teen fiction like The Hunger Games because — while the lines between middle grade / YA fiction are very clear— kids’ transition into adolescence is much blurrier. They are aware of hard realities and see much more than adults would like to think. It’s one of the reasons I gave Sophie Young her “wise-young” name — she’s precocious and aware of the adult world but still very much a kid. I’m a big fan of books for the age group that are thrilling and high-stakes, but are still essentially wholesome reads. I hope The Wig in the Window is one of those. The Book Smugglers: Are you a fan of the mystery genre? Which books are your favorites, for young readers and/or for adults? Kristen: I am! I didn’t realize how much I was until I started writing this story, however. I really spent a good deal of childhood wrapped up in Agatha Christies, Encyclopedia Brown, Nancy Drew. I wish, though, that I’d had something as awesome and tailor-made for my age as Kirsten Miller’s Kiki Strike series had been around – it’s such a rollicking, fun, adventurous read and doesn’t condescend to its readers. I adore it. For adults, I’m a fan of Tana French, Kate Atkinson, and Denise Mina. The Book Smugglers: How many more adventures – and what types of adventures, if any! – do you envision for your duo, Sophie Young and Grace Yang? Kristen: A sequel is slated for Young & Yang (and their new friend Trista Bottoms) called The Tiara on the Terrace. I think of it as a Miss Congeniality set in middle school: my sleuths must go undercover in a town beauty contest to stop a murderer. It’s set around a heavily fictionalized version of the Tournament of Roses in Pasadena, where I live. I think it’s going to be fun! I have oodles of ideas for cases for Young & Yang. There’s also nothing more fun than soliciting title ideas from kids. My latest fave? The Beret on the Balcony. Young & Yang take on Paris! The Book Smugglers: We Book Smugglers are faced with constant threats and criticisms from our significant others concerning the sheer volume of books we purchase and read – hence, we have resorted to ‘smuggling books’ home to escape scrutinizing eyes. Have you ever had to smuggle books? Kristen: Are we alone? (Checks for listening devices and eavesdroppers.) It’s a good thing my husband appears only vaguely aware of the online world and— to my knowledge — never Googles me. I’m deep in covert book smuggling territory right now and have yet to be discovered. I pay in cash. I use PayPal. I keep books out in our garage. Or carefully placed between stacks of library books so they look like they’re just passing through. A book showed up on the doorstep the other day—a prize I won in a contest — and, very suspiciously, I said at least three times, “Oh look, this book was free! Isn’t it great that it was FREE! ?” I’m not very stealth for a wannabe spy — and I think the jig will be up soon. But in the meantime, shhhhh…..
Our lips are sealed, Kristen! We would never betray the Smugglers’ Code! Kristen Kittscher was a child neighborhood spy but (allegedly) grew up to be an upstanding citizen and middle school English teacher. A graduate of Brown University, she now works as a writing tutor in Pasadena, California where she lives with her husband, Kai, and their hyperactive lab mix. The Wig in the Window is her first novel. Visit kristenkittscher.com to investigate more about her and Young & Yang’s next adventure, The Tiara on the Terrace. Preorder The Wig and the Window and get a signed copy plus free spy pen HERE. Make sure to stick around as later today, Thea reviews the book! Thea James is half of the maniacal book review duo behind The Book Smugglers. By day, she does digital operations things over at Penguin Random House. By night, she watches an abundance of horror movies, stays up too late, and voraciously devours ALL THE SFF. Great interview and questions!!! Love Kristen’s humor. I really appreciated Kristen’s thoughts on cultural appropriation and on the topics appropriate for middle grade kids. This book sounds great and will go on my list! i love the smuggler’s code! great interview. i really want to read this now. hurry up, june! That video was the greatest thing ever! Loved it! And great interview questions and answers! This book sounds really interesting. I’ve been intrigued by it since I first saw the cover and read the synopsis in One the Smuggler’s Radar. The exploration of friendship and cultural appropriation make me want to read it more. Great question and answer about writing for this age group. Many topics can be, and are, covered in MG books but the best ones keep in mind that this age group are still kids and while some of their reading levels may be up to reading the more mature YA or even adult books out there their emotional development and maturity may not be ready for many of those books. For a another look on this topic, check out this article in The Horn Book by Jeanne Birdsall, author of the lovely Penderwicks series. She discusses how middle grade books were so important to her at that age and the need to have books that are safe and appropriate for children. Safe does not mean that it doesn’t tackle difficult subjects. It has to reach that correct balance. Thank goodness there are such great middle grade authors out there willing to do so. On a strictly superficial note: how fun are both the cover and title of the book? Love them. Long live the Smuggler’s Code! Great interview and I LOVE the video!!!!!!! One of my favorite Middle Reader series starts with THE STRANGE CASE OF ORIGAMI YODA by Tom Angleberger. Another one I like a lot is THE POPULARITY PAPERS by Amy Ignatow. And you may think Annie Barrows and Sophie Blackall’s IVY & BEAN series is on the young side for middle readers, but they are great fun, and you should read them if you haven’t. Also CAPTAIN UNDERPANTS!